If you thought the tax cut screwed you, wait till you hear about President Trump’s proposed 2020 budget. The most vulnerable of our citizens, impoverished children, the elderly and students are targets for the president’s budget cuts. “A Budget for a Better America. Promises Kept. Taxpayers First.” should be called the trail of broken promises. Trump’s budget proposal puts uber rich taxpayers first, and screws everyone else. Candidate Donald Trump promised to protect Social Security and Medicare, but President Trump wants to cut those programs, not just this year, but every year for the next 10 years. Science Magazine reports he also proposes massive cuts to science, education and research. The essential difference between Republican and Democratic politics boils down to one word: government. The Republicans believe government should provide military defense and little else. Democrats think government can benefit you through transportation systems, schools, libraries, parks, museums, promotion of research and the arts, stewardship of national resources and protection of citizens from disease, pollution, predatory corporate practices and unsafe labor environments. All political battles ultimately boil down to this conflict: the vision of our government. The president’s budget reflects this philosophical divide, bigger than the Grand Canyon. Democratic presidential candidate Kamala Harris said, “This budget says a lot about the president’s priorities: cut $845 billion from Medicare, while spending billions on his vanity project, the wall.” Funny thing, in 2012 Trump criticized Obama for proposing reforms to Medicare. Democratic presidential candidate Bernie Sanders tweeted, “Trump’s budget cuts $1.5 trillion from Medicaid, $845 billion from Medicare and $25 billion from Social Security. Make no mistake about it: Trump’s budget is a massive transfer of wealth from the working class to the wealthiest people and most profitable corporations in America.” Budget losers on Trump’s list: Environmental Protection Agency cut by more than 30 percent. His budget cuts NASA, National Science Foundation, National Institute of Health, Departments of Agriculture, Education and Justice, just to name a few. Budget winners on Trump’s list: military gets more money than they asked for! More money budgeted for the wall, $8.6 billion more! Why bother putting it in the budget when you authorize it by executive order? And of course the proposed Space Force is more important than your child’s education or protecting our environment. The only increase that makes sense on this list is a proposed 3.1 percent increase in military pay. Trump wants to raid the Pell Grant reserves at the Department of Education, and further cut funding by 12 percent. Pell Grants help working-class kids go to college. While cutting the department’s funding, Trump recommends increasing funding for charter schools. Secretary of Education Betsy DeVos historically invested in for-profit education. This is a continuing conflict of interest which is allowed to fester. Trump further proposes to cut funding for the Department of Energy. According to the Washington Post, he proposes to boost spending on coal and nuclear energy, and to cut spending for renewable energy. Trump demonstrates again, not only is he out of touch with what the majority of Americans think and want, he isn’t listening to industry experts. Here in Colorado, Xcel Energy touts on its website that 27 percent of its energy production came from renewables last year. The company projects 48 percent of its energy will come from renewables by 2022. Xcel says it’s on track to achieve 100 percent carbon-free electricity by 2050. Trump proposes cutting Medicaid, and stopping the Medicaid expansion 30 states have adopted, including Colorado. He is proposing block grants to states, which was turned down by Congress last year. The grants would steadily defund Medicaid by tying any increases to the cost of living index, which is lower than the rate at which medical expenses are rising. Trump proposes to cut spending at the Department of the Interior. If you enjoy our national parks, you have seen the shameful state of disrepair of our park infrastructure. There is a $12 billion backlog of deferred maintenance and road construction. This budget further insults us with just $300 million to address this looming problem that gets worse every year. For the third year in a row, Trump proposes eliminating all funding for libraries, the National Endowment for the Arts, the Corporation for Public Broadcasting (Public Broadcasting System and National Public Radio), and the National Endowment for the Humanities. These have often been Republican budget-cutting strategies, but for the last two years Republican-controlled Congress funded the agencies. In the last election, so many people told me Democrats, Republicans, it makes no difference. I hope you can see it makes a difference. If you like parks, public schools, libraries and clean water, you may not want to slash funding for the things you value. Make your voice heard. Stand up for what is important to you. Call Colorado Republican Sen. Cory Gardner at 202-224-5941. Call congressional Republicans. Tell them, “NO!” Tell them you value your quality of life. You don’t belong to a country club like Donald Trump. Maybe you have a kid in public school, perhaps you use your local library and you visit Colorado’s wonderful national parks. Tell Republican representatives to protect the best part of America, our freedom to enjoy our community and our environment. Tell them no cuts to important services. Tell them no pig trough military programs the Pentagon didn’t ask for, and we don’t need. 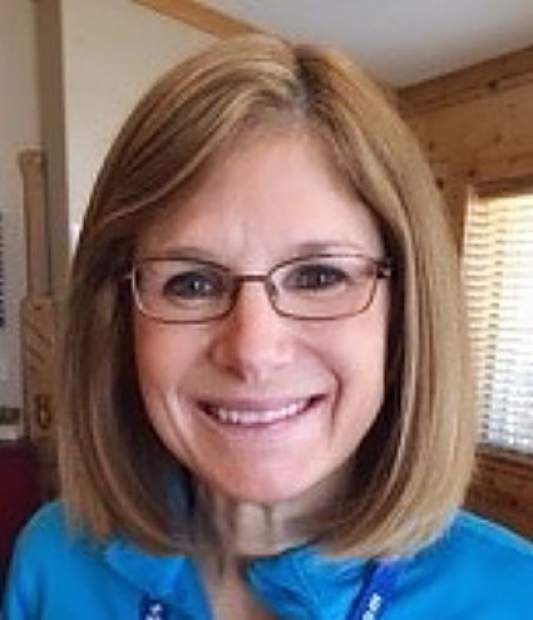 Susan Knopf is a Summit County resident and a weekly columnist for the Summit Daily News. Go to our online edition for links to source material.